Item # 317801 Stash Points: 5,195 (?) This is the number of points you get in The Zumiez Stash for purchasing this item. Stash points are redeemable for exclusive rewards only available to Zumiez Stash members. To redeem your points check out the rewards catalog on thestash.zumiez.com. Crafted with RIPNDIP's classic lighthearted touch, the premium skate brand presents their Noodles 8.25" Skateboard Deck. 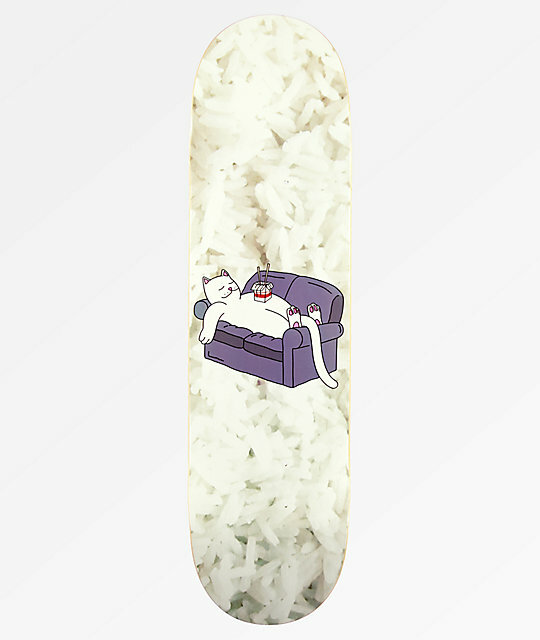 Made from a traditional 7-ply construction, this durable board keeps this simple with a medium concave and comes finished with a comical graphic of Lord Nermal pleasantly enjoying a food coma sprawled out on a couch. 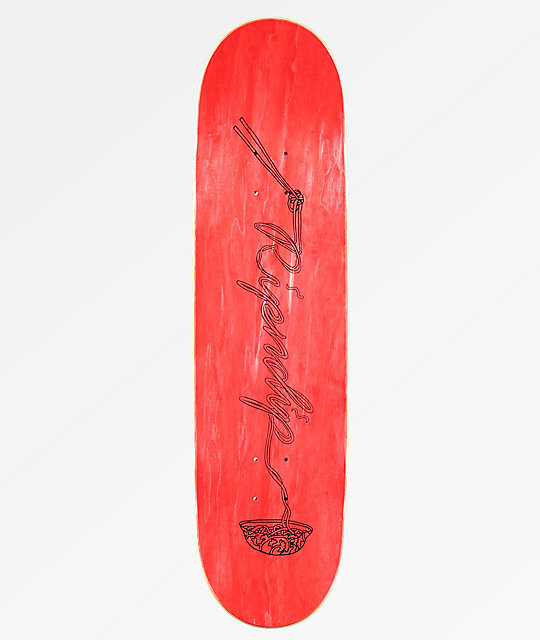 Noodles 8.25" Skateboard Deck from RIPNDIP.